The Society’s Major Sites Group engages with major building development proposals, mostly in the city centre. The Group takes part in the public consultation stage, before the planning application for major schemes. The Planning Applications Group responds to smaller-scale development proposals that are submitted as planning applications week by week. 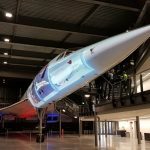 Although not as complex as the developments considered by Major Sites Group, they can have a significant impact on the quality of the city’s appearance. The Society runs a varied programme of events throughout the year. 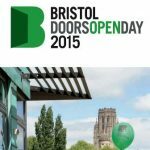 These include meetings of general interest and to provoke debate, guided visits to interesting places in Bristol, and occasional trips to other cities hosted by the local civic society. 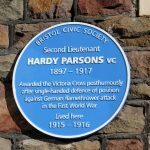 In 2015, the Society took over responsibility for the blue plaques scheme previously run by Bristol City Council. A 'Blue Plaques Panel' overseas the scheme. 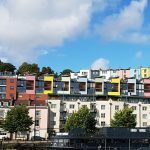 The Public Spaces Group engages with proposals for improving public spaces in Bristol. 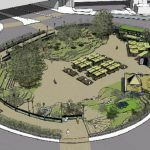 These can be 'green' spaces like Queen Square, Castle Park or College Green and ‘hard’ spaces such as the Centre Promenade, Millennium Square and pavements generally. 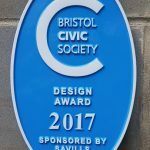 The Design Awards recognise developments in Bristol which make a positive contribution to the local environment through excellence of design. The Student Award is presented to a final year student of Architecture and Planning at the University of the West of England for outstanding work. 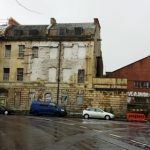 Even in a relatively prosperous city like Bristol, there are certain sites and buildings which lie empty for years and years. Some sites do seem to get stuck and give rise to concern by local residents, planners and, if protected, by Historic England. 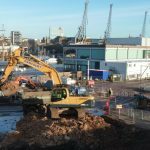 The Planning Policy Subgroup of the Major Sites Group considers changes in local planning policy to try to ensure that local planning policy strikes the right balance. 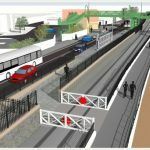 The group engages in the Council’s consultation processes, and may engage with the planning department and with councillors and MPs. 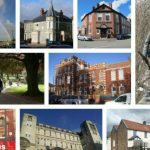 The Bristol Heritage Forum is an independent body set up to champion the value of Bristol's built heritage. It is a network for local organizations to share and debate best practice, to facilitate collaboration, and to co-ordinate heritage initiatives. 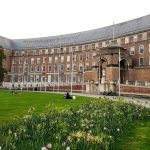 All Bristol Civic Society members also belong to Civic Voice, which is the national charity for the civic movement in England. Civic Voice has over 75,000 individual members coming from 290 civic societies.